REET Answer key 2018: Rajasthan Board of Secondary Education (BSER) has conducted the Rajasthan Eligibility Examination for Teachers (REET) Examination on 11th February 2018 across the state of Rajasthan. The examination has been organized for REET Paper 1 and Paper 2. All the competitors can analyse their attempt by downloading the REET Question paper solutions. The REET Answer Key 2018 for Paper 1 and Paper 2 will be accessible shortly on REET Official website, rajeduboard.nic.in. 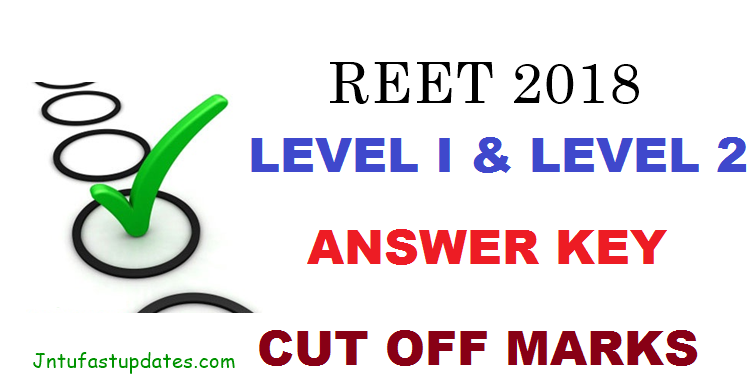 aspirants can download REET Answer Key 2018 PDF for Level 1, Level 2 for all sets A, B, C, D. REET Level 1 answer key is now available for Hindi, Sanskrit, Psychology, English, Maths and Environment subjects. Parishkar Coaching Provides REET Level 2 answer key for Hindi, Sanskrit, Psychology, English, Maths & Science, Social Study subjects. Rajasthan Board of Secondary Education (BSER) has recently issued the official notification for 35,000 3rd Grade Teachers. Past few months back the officials of the organisation have released a notification in order to fill up the Teacher vacancies for the classes 1 to 5 and the standard 6th to 8th. A huge number of aspirants wishing to become primary and secondary grade school teachers have applied for the REET (Rajasthan Eligibility Examination for Teachers). The REET Examination Level 1 [1st to 5th class] was attempted for aspirants seeking to become primary grade teacher and REET Level 2 [6th to 8th Class] was attempted by the aspirants who wish to become secondary grade teachers in the state of Rajasthan. The selection of aspirants will be done by the merit obtained by the aspirants. REET Answer Key for Paper 1 and Paper 2 will be accessible to download in PDF format. Aspirants appeared for the examination can download REET answer sheet PDF 2018 and can compare their answers with the corresponding paper and set to estimate the score. By estimating the score, competitors can get the idea about the exam clearance. Candidates scoring good marks section-wise, and over-all are prone to clear the examination. Candidates have to obtain the minimum cutoff marks to clear the examination. The REET Cutoff marks will be announced by the BSER at the time of result announcement. Candidates can check the BSER REET last year cutoff marks for a reference until the board releases the cutoff marks for this year. The Board of Secondary Education Rajasthan, is going to announce the cutoff marks and results within 3-4 weeks after the examination. Hence candidates can keep visiting the official website for latest updates regarding result date, and other information. send me reet answer key 2018.
bhai reet 1 level (SC) me 118 marks baith rahe hai parishkar ki ans. key se ho jayega na selection. bhai reet 1 level me 118 marks baith rahe hai parishkar ki ans. key se ho jayega na selection.